The main resort of Florida is Miami. Travel there is well developed. 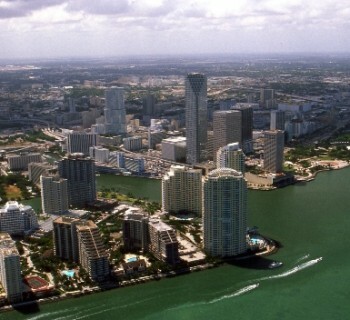 In the area of ​​Miami Beach, is located more than 25 miles of excellent beaches covered with sand. Activities at this resort attracts people from all over the world. 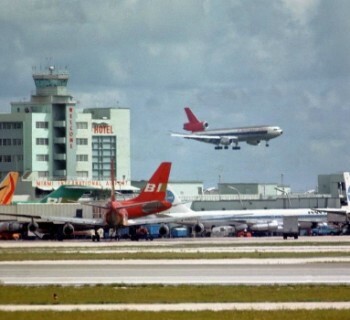 Therefore, high prices in Miami should not surprise tourists. In Miami, you can rent a villa, house or apartment. It is possible to short-term and long-term lease. In a first embodiment apartment accommodation for rent for a week or a couple of months. Prices for long-term and short-term lease are very different. In the year then rent an apartment for $ 3,000. Similar Properties Apartment for six months will cost $ 4500 per month. Some houses are allowed to hire only for the long term. Apartments can be found in Sunny Aysls, Downtown or Miami Beach. House for rent can be removed, as a rule, not less than one year. Luxury villas and mansions on Miami Beach cost 5-10 thousand dollars a week. Some of them are under 20 thousand dollars per day. The cost is dependent on the degree of luxury. Vacationers in Florida do not have to be bored: tour operators are a lot of interesting excursions and entertainments. View Miami aerial view possible during an excursion in a private plane, which costs $ 650. Individual tour from Miami to NASA space center will cost $ 430. Very popular excursion to the Lion Safari. It lasts 6 hours, and costs from $ 290. Inspect attractions in Miami Beach (25 km in the ocean) as possible during the excursion, the price of which is $ 220. Unusually sightseeing tour of Miami. Tourists move through the air in a helicopter. It's expensive, but worth it. All flight costs $ 250. Vacationers can visit the safari park on their own, without a guide. There are wild animals and rides for children. Over the entrance ticket to the park you have to pay $ 30. On the territory of Miami operates a busMetrobus network. It consists of a plurality of routes on which a shuttle 900 buses. there around the clock routes among them. During the passage you have to pay about $ 1.5. In Miami, working underground, whose stations are marked «Metrorail». Underground there is overhead. The fare is $ 2. This is one of the most convenient means of transportation around the city. The resort has Metromuver, which is an analogue of Skytrain. This transport system offers passengers to travel around the downtown in the automated trailers. The most convenient form of transport - the car. car hire is expensive - US $ 80-90 per day.